The people behind XableCath are seasoned veterans in the medical device industry. Our team consists of clinicians, engineers, and professionals who have dedicated their careers to enhancing medical techniques and procedures that integrally advanced patient care. Ms. Dunlea is a co-founder and serves as President and CEO for XableCath. She has over 20 years of operating and investment experience in the life science industry. She is an experienced life sciences venture capitalist and has experience launching and marketing new products, leading R&D, and conducting clinical trials. Prior to XableCath she was a Venture Partner at Signal Peak Ventures and vSpring Capital. Ms. Dunlea also was a Principal at Oxford Bioscience Partners and was a Kauffman fellow. At Signal Peak Ventures she served on the boards of Aspen Avionics, Athena Feminine Technologies, Coherex Medical, LineaGen, nanoMR, Numira Biosciences, and VeraLight. At Oxford Bioscience Partners, she served on the Board of Directors for Applied Spine Technologies and as an observer on Mitralign, Pathway Medical, and Concentric Medical. She has held management positions at The Cleveland Clinic Foundation and World Medical, acquired by Medtronic, and positions of increasing responsibility at Cordis Endovascular Systems, acquired by Johnson & Johnson, and General Electric Medical Systems. Prior to the medical device industry she was an aerospace engineer at Pratt & Whitney. Ms. Dunlea has BS and M.S. degrees in Mechanical Engineering from Florida International University and an M.B.A from The Wharton School of Business. Dr. Ben-Joseph is Managing Director with Outcome Capital, and co-lead of its life sciences and healthcare practice. Mr. Borst is Managing Director with UpStart Life Sciences Capital. He has an extensive background in both operation of venture capital funded life science companies and management of venture capital firms. Mr. Borst has worked for the venture funds Pelion Ventures, Frontenac Company and Capital Health Venture Partners, located in Salt Lake City and Chicago. Mr. Borst received a B.S. in Industrial Engineering from the University of Michigan and an M.B.A. from the J. L. Kellogg Graduate School of Management at Northwestern University. Jeff has over 30 years of medical device experience across a range of leadership and operational roles in major and start-up firms, primarily in emerging endovascular and interventional technologies. He was recently President and CEO of Veniti which was acquired by Boston Scientific, and earlier, was VP Ops COO/Director, and CEO (ahead of US commercial launch) of Aptus EndoSystems, which was acquired by Medtronic. He was the founding VP Ops/COO and CEO of FlowMedica, which was acquired by AngioDynamics, and the VP Ops and CTO for World Medical Corp (developer of the TALENT aortic endograft EVAR and TEVAR systems) acquired by Medtronic. Jeff also held the role of Vice President and Business Unit Manager for the Endovascular Division of Medtronic. He also had various Operations and R&D/Product Development and management responsibilities at Cordis and Cordis Endovascular Systems Interventional Neuro (acquired by Johnson &Johnson), as well as Haemonetics Corp. through their IPO. He has a BS in Mechanical Engineering from the University of Massachusetts, Amherst. Dr. Benenati. serves as Chairman of the Physician Advisory Board. He is a practicing Interventional Radiologist, Medical Director, Noninvasive Vascular Laboratory and Fellowship Program Director at the Miami Cardiac & Vascular Institute at Baptist Hospital in Miami, Florida. He is a Clinical Professor of Radiology at Florida International University College of Medicine and Associate Professor of Radiology at the University of South Florida College of Medicine. He has participated in numerous clinical research projects and national trials pertaining to peripheral arterial disease and has authored and co-authored more than 100 scientific publications. He has been a Program Director of ISET for over 20 years and a past president of SIR. Dr. Benenati attended the University of Notre Dame as an undergraduate, received his medical degree from the University of South Florida College of Medicine, completed a residency in Diagnostic Radiology at Indiana University and a fellowship at Johns Hopkins. Dr. Dahm is co-founder and serves as the Chief Medical Officer for XableCath. He is a professor of Medicine, Cardiology, and Angiology and Director of Interventional Cardiology and Angiology at the Heart & Vascular Center New-Bethlehem, Gottingen, Germany and the Director of Education for German Society of Cardiology Dr. Dahm has extensive experience in endovascular revascularization of lower extremities and is familiar with nearly all available devices to do so. He lectures frequently throughout Europe and has published extensively. Dr Lauterbach serves as the medical director for XableCath. He received his B.A. from Middlebury College and his M.D. from Upstate Medical University in Syracuse, NY. He then trained in general surgery at the University of Rochester - Strong Memorial Hospital and in vascular and endovascular surgery at Harvard Medical School - Massachusetts General Hospital. 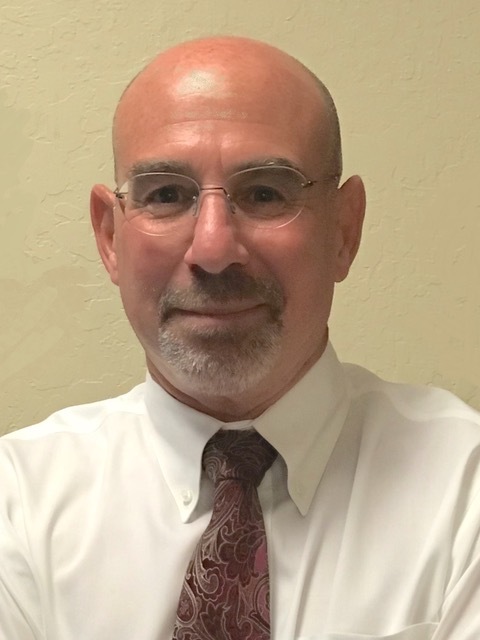 He then entered private practice and has spent nearly two decades doing peripheral vascular surgery with an emphasis on limb salvage employing open surgical and endovascular techniques. The use of minimally invasive endovascular techniques has revolutionized his approach to limb salvage over the years. He has published extensively on lower extremity interventions and limb salvage and presented research at numerous vascular conferences.